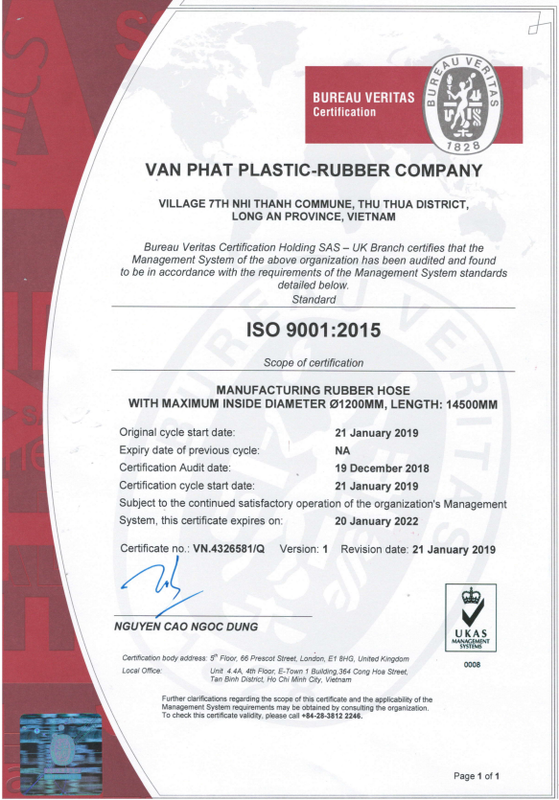 VAN PHAT Rubber – Plastic Co., Ltd is a company with much experience in the field of rubber for industry and agriculture. VAN PHAT has produced more than 200 types of pipes of all sizes and exported to the world market (Europe, America, Canada, Australia …). ISO 9001: 2015 certificate – Certificate of conformity with quality management system ISO 9001: 2015 issued by UKAS.